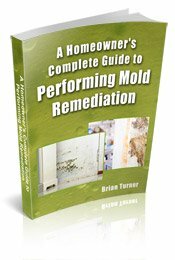 We’d like to offer you some summer tips to prevent mold. During the warm months of summer, mold thrives because most strains of mold need warm temperatures in order to grow. Preventing mold takes a little forethought and preventative maintenance, but it’s a lot less work and a lot cheaper than cleaning up a household mold problem later on. Use your air conditioner on hot days. Mold grows best at temperatures above 77 degrees Fahrenheit, so keep the indoor temperature lower than that if you can. Watch for any condensation or moisture in your air ducts. Sometimes using the air conditioner can cause condensation and that moisture provides a place for mold to grow. Purchase a hygrometer, an instrument that measures the relative humidity, so you can monitor the humidity in your home. By monitoring the relative humidity in your home, you can take steps when necessary to reduce moisture in order to prevent the growth of mold. Mold thrives in moist environments, so it’s best to keep the relative humidity below 50 percent. If any areas of your home have relative humidity higher than that, purchase a dehumidifier to reduce the amount of moisture in the air. 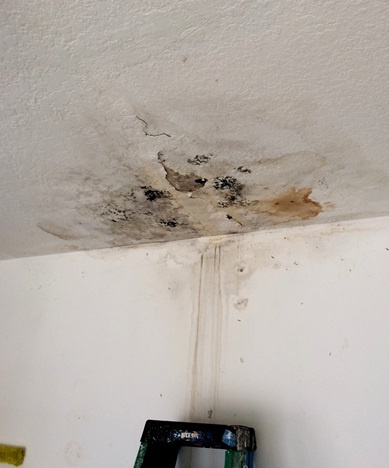 Mold doesn’t grow well in dry environments. Close windows when it rains. If windows are open when it rains, dry windowsills, floors or any other surfaces as soon as possible. If carpet gets wet, use a fan to dry it faster. If it’s a rainy summer, watch for signs of a leak in your roof. A discolored spot on the ceiling generally means a leak, even if you don’t see water coming through the ceiling. Have any leaks repaired as soon as possible to keep mold from developing. Repair any leaky pipes or appliances as soon as possible. Make sure your clothes dryer is vented to the outdoors, not into your attic or crawlspace. Turn on the exhaust fan or open a bathroom window a couple inches when showering. The steam that fills the bathroom when you shower provides ample moisture for mold. Don’t use carpet in bathrooms. It’s hard to dry out carpet thoroughly. It’s much easier to dry linoleum or tile floors if they get wet. You can use throw rugs in bathrooms, which can be machine washed and hung to dry, which prevents them from getting moldy. Clean up any spills of water or other liquids immediately. Address any mold problems that do occur promptly to prevent the mold from growing and spreading to other areas of the home. If you notice a musty smell in the home, you probably have mold somewhere. Mold often grows in hard-to-see places, like under carpet and inside walls. If you smell something musty but can’t find any mold, we recommended calling in a certified mold tester to test your home for mold. Most certified mold testers are engineers and they are trained to track down hidden mold. They can also tell you what kind of mold is growing in your home. If mold does develop despite your best efforts at prevention, we recommend scheduling a free consultation with a mold removal professional. An experienced professional will visit your home, inspect the premises for mold, provide recommendations and advice for cleaning up the mold, and also provide recommendations for preventing mold from recurring in the future. There is no charge for the consultation and you’re under no obligation, so you have nothing to lose from consulting with a professional. To find qualified mold removal professionals in your area, just follow the link.